It's exciting to think about world religions, but let’s make sure we understand basic Christian beliefs before we dive into other beliefs. 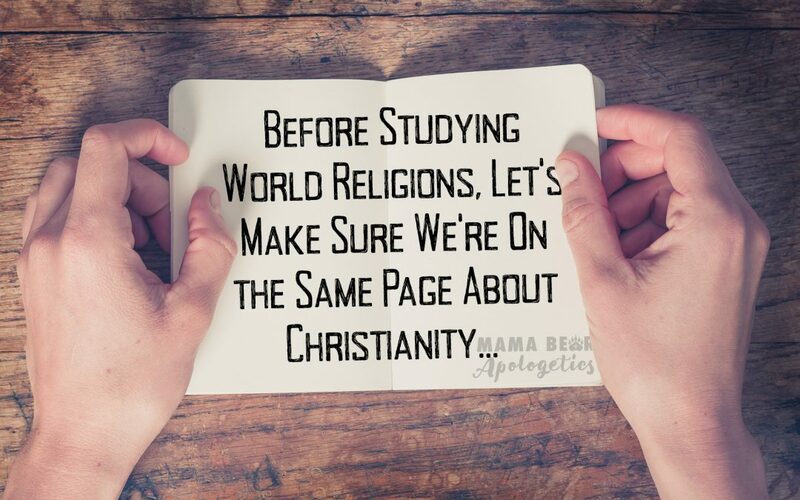 Click To TweetBefore we start diving into world religions, it’s important that we have a firm grasp of what Christianity teaches. It is fairly common knowledge that when federal agents train to spot counterfeit money, they study the real thing first. The theory is that if the agents become very familiar with genuine money, they will be able to spot a counterfeit a mile away. This is true of Christianity. If we study God’s word and are completely in touch with the truths found in Scripture, we will be able to spot heresies and errors in our own churches, as well as other belief systems. It’s exciting to think about world religions, but let’s make sure we understand basic Christian beliefs before we dive into other beliefs. How easy is it for you to tell others what you believe about God, creation, or Jesus? Can you adequately explain the Trinity? What about the afterlife? How is it that we are saved? Some of you may already know all of the Christian answers, and that is awesome! For those of you who struggled a bit to come up with a response, this article is for you. Here’s a crash course in the fundamental beliefs of Christianity, complete with some Scripture references to help you out. Founding. Christianity was founded around AD 30, after the death and resurrection of Jesus Christ in the Middle East. Jesus was the founder, but Christianity was carried forth by his disciples and other followers, like Peter and Paul. Yes, Jesus was Jewish, and most of the early church consisted of converted Jews, but his followers were (and are still) called Christians. God. If someone were to ask you to describe God, what would you say? No seriously! Before you read the rest of this, turn away from the computer and see if you can describe God. Immaterial (Col 1:15; 1 Tim 1:17). God isn’t someone we can touch or feel. He isn’t made up of matter. He is Spirit. Omnipresent (Jer 23:24; Ps 139:7; Isa 57:15). This is just a fancy theological term that means God is everywhere. This should not be confused with saying that God IS everything (pantheism) or that God is IN everything (panentheism). Infinite (Rev 1:8 and 4:8) and Eternal (Ps 90:2; Isa 41:4; 1 Tim 1:17). God is, was, and is to come. His existence is eternally in the past, present, and future. In fact, you might say He is outside of time. He had no beginning, He has no end. He is the only entity in existence which is uncaused, self-existing, and is capable of causing all other things. Plato refers to this as the “prime mover.” For a better understanding, visit Mama Bear podcast #27: Who Made God. All–powerful (Ps 147:5; Lk 1:37). This is also called omnipotence. Do not confuse “all powerful” with “able to do anything.” There are some things that God cannot do. He cannot act contrary to His nature, and He cannot do things that are illogical – like creating a square circle. Unchanging (Mal 3:6; James 1:17). This is also known as immutability. He is the same yesterday, today, and forever. All-knowing (Ps 147:4-5; 1 Jn 3:20; Rom 11:33-36). The fancy word for this is omniscient. All-loving (Psa 86:15; Rom 5:8; Rom 8:37-39; 1 Jn 3:1). All-good (Psa 18:30; Gal 5:22; Eph 4:32; Rom 2:4). This is sometimes called omnibenevolence, which means that God is good all the time. It’s important to understand that goodness doesn’t always mean painless. God’s intent for us is goodness, but sometimes, we will have to walk through the fire. This doesn’t mean God is not good. Just (Isa 30:18; Deut 32:4; Psa 9:7-8; Heb 10:30). Holy (Ex 15:11; Psa 86:8-10; Psa 24:3-5; Isa 57:15; Rev 15:4). God has no rival or competition. He is set apart and pure. He is worthy of all praise. Creation. “In the beginning, God created the heavens and the earth” (Gen 1:1). There is a lot of controversy within the Christian church regarding how He created the heavens and the earth. This is a secondary issue to acknowledging that He created. We have Mama Bears in leadership that fall on both sides of the old earth/young earth controversy. We purposefully chose to have leaders on both sides because we want to express unity within a diversity of orthodox ideas. We can still work together despite differences in issues that are secondary to salvation, and express unity against the real enemy of naturalism–a belief which denies that God was involved in the act of creation. Humanity. God created humanity in his image and likeness (Genesis 1:26-27). Every human being has value and worth as an image bearer of our holy God. Not only should we look at ourselves differently knowing that our creator (and the creator of the entire universe) made us in His image, but the way we interact with those around us should reflect the honor due to a human made in the image of God. While we’re on the subject of humanity, I want to mention sin. When humanity entered the world, we were in a sinless state. Because of original sin and the Fall (Gen 3), humanity was corrupted, and the image of God was distorted. Every person born since the Fall has been born into a state of sin, which is why we need a Redeemer (Rom 5:12; Rom 5:18; Heb 9:15; 1 Cor 15:22). To be clear, being “born into sin,” is not the same as “having sinned.” Infants, while born into sin, are not guilty of sin. Each member of the Trinity is distinct (2 Cor 13:14; Matt 28:19; Matt 3:16-17; 1 Jn 5:7-8). All members of the Trinity are co-equal (Phil 2:5-11; Col 1:13-20; Jn 10:30; Jn 14:6-10). All members of the Trinity are co-eternal (Jn 8:58; Col 1:15-17). The egg analogy (e.g., egg yolk, egg white, eggshell). Although this analogy covers the three distinct persons of God, it does not address the unity of God. The family roles analogy (e.g., one person can be a mother, a daughter, and an aunt). This is the reverse of the egg analogy because it denies the distinctness of each member of the Trinity. The clover analogy (e.g. three cloves make up the clover). This one denies the complete unity of the Trinity. The water analogy (e.g. solid, liquid, gas). This is where we compare the 3 persons to the three states of water. This analogy is probably the closest we can get to explaining the Trinity because of something called Triple point, which is the temperature and pressure where all three states of water can exist at the same time. That being said, I know it’s difficult to try and explain the Trinity without resorting to analogies. There is nothing that fully explains the Trinity. It’s a mystery that our human minds struggle to comprehend. Some people say that because it is incomprehensible means that it is illogical, so we need to dispel that myth here. Just because we are limited in our understanding of it, it doesn’t make it illogical. There are no logical laws that are being broken when we say that there are three distinct persons who are one in essence. We just don’t have anything like it with which to compare it, so we probably won’t understand it on this side of eternity. If your kids are struggling with being able to understand how something could be incomprehensible without being illogical, ask them how they would explain color to a blind person. They might use hot and cold for hue or loud and soft for saturation. Eventually, they will realize it can’t be done. Then ask them if color is illogical? Of course not! It just has to be experienced in order to understand it. The problem with the Trinity is that it is a unique aspect of God (referred to as an “incommunicable attribute”). Color is not illogical, it is just incomprehensible to a person without the ability to experience it. The Trinity is not illogical, but we probably won’t fully grasp it until we experience God in person. The difference between illogicality and incomprehensibility is an important distinction, especially when conversing with people of other world religions. We’ve discussed God above, so let’s talk about the other parts of the Trinity, Jesus (the Son) and the Holy Spirit. So, now that we’ve cleared that up, who is Jesus? Jesus was fully human (Phil 2:8; Rom 8:3). Jesus was fully God (Col 2:9; Jn 10:28-30). Jesus was born of a virgin (Mt 1:18-25) which was prophesied (Isa 7:14). Jesus died on the cross (Jn 19:30; Lk 23:33). Jesus has always been the Son of God (Lk 1:35; Jn 3:16). He took on human flesh to become Jesus, but the Son existed before the man Jesus walked the earth. Jesus was a fulfillment of Old Testament prophecy (Isa 9:6; Jn 5:39, 46; Mt 5:17-18). Jesus became human so that he could die on the cross for humanity’s sins (Phil 2:8; Rom 8:3). Jesus was resurrected three days after he died (Mk 16:1-7; 1 Cor 15:1-11). Jesus ascended back to heaven to be with the Father (Lk 24:50-53). The Holy Spirit. In John 14:26, Jesus promises that God will send the Holy Spirit in Jesus’ name to be with the disciples after Jesus is no longer with them. The Holy Spirit is not just God’s divine inspiration (Judaism) or God’s “active force” (Jehovah’s Witnesses). He is a unique person of the Trinity and fully God. An intercessor and advocate (Rom 8:26). The Holy Spirit acts on our behalf. If you’ve been studying apologetics long, you’ve probably seen 1 Peter 3:15 quite a bit, but it merits mentioning here. It specifically tells us, “But in your hearts revere Christ as Lord. Always be prepared to give an answer [defense, apologetic] to everyone who asks you to give the reason for the hope that is in you.” We will not be prepared if we do not prepare. Salvation. Atonement (salvation) is available because of Jesus’ work on the cross (Isa 53:5; 1 Pet 2:24; 1 Jn 2:2; Rom 5:2). Scripture says it’s a free gift through faith, not through works. James consistently refers to faith and works as separate things. Yes, as Christians, we should still do works because Christ did, and we are to be like Christ. Also, faith without works is dead, but the works should be an outpouring of our faith, not something we do to achieve salvation. Afterlife. The Bible says that there is an eternal heaven and hell (Matt 10:28; Matt 25:46; Jn 5:24-28; Jn 11:25-26; Rev 21:8). Hell was originally intended for Satan and his demons (Matt 25:41). God does not wish for anyone to go to hell, and he continues to work through the Holy Spirit and humanity to save as many as possible to spend eternity with him (Rev 21:4-7). Before we wrap up, I want to add a note about the historical reliability of Scripture. I’ve cited a lot of Scripture above because it’s vital to know where we get our beliefs from. I also wanted to show you that these beliefs are in the Bible, not things we’ve made up. As Christians, the Bible is the standard for what we believe. Maybe you’ve heard that Scripture isn’t reliable. How do you respond? Rest easy because both the Old and New Testaments are historically reliable. I want to recommend some resources that may help assure you that this is true. For more information about the historical reliability of the Old Testament, I recommend this short video [5:37] of a conversation between Tim Keller and Martin Bashir, as well as this video [3:55] featuring Dr. Sean McDowell. For the New Testament, you may find this video [1:14:00] of Dr. Craig Blomberg from Denver Seminary helpful. As a general overview of the reliability of all of Scripture, you may be interested in this article from Ravi Zacharias International Ministries. Remember, this is just a basic overview of what Christians believe, and the Scripture references are not meant to be exhaustive. Even though there are different denominations and sects, most orthodox Christians believe the fundamentals provided above. Is there a fundamental doctrine that we missed, or one that you have always been confused about? Let us know about it in the comments! 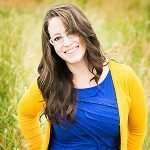 Lindsey Medenwaldt is our resident Mama Bear expert in world religions. She is a perpetual student and a bonafide nerd (but the good kind), and she has a J.D., as well as a Master’s in Public Administration. 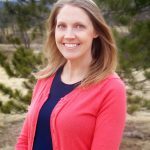 Currently, she’s earning a Master’s in Apologetics and Ethics at Denver Seminary and will graduate in May 2019. She’s been married to another apologist, Jay, for 12 years, and they have three incredible daughters, ages 11, 8, and 5. A good question to prepare for is one that gets to the presupposition that the Bible is the word of God. Where did it come from? Who put it together? Why these books and not others? Hi Syd! Thanks for reading and commenting. Those are some great questions, and I agree that we should be able to answer them when defending why we believe what we believe. In his first letter to the Corinthians, Paul wrote that faith should not rest in the wisdom of men, but in the power of God (1 Cor 2:1-16). If we seek guidance from the Holy Spirit, the truths of Scripture will be revealed to us. One resource on this issue that might be helpful is an answer Ravi Zacharias gave to a student at a lecture at the University of Illinois. You can find the video here: https://youtu.be/e87iPHsQH1s. With regard to your question about the Canon and how the Bible was put together, in addition to the videos and articles I mentioned in the article, I recommend this two-and-a-half minute video by Sean McDowell: https://youtu.be/jdzs_fix3X8. He talks about how the books of the Bible was selected to be included within the Canon. This is a good read, with an important point to be made here. Let us all be consistent in our theology before addressing others. I think my only critique on the article is the lack of “holy” and “just” in the attributes of God portion. Those are very important for our beliefs and the gospel. But aside from that, awesome work! God bless you! While believing in Genesis 1 as literal history is not a requirement for salvation, questioning it and coming up with other explanations undermines the authority and inerrancy of the Bible, and discredits Jesus, Who accepted Genesis as history without question. It can lead gradually to a loss of belief, and consequent loss of salvation. There are plenty of reasons, scientific, biblical, and otherwise, for accepting Genesis 1 as an accurate description of history, inspired by the only Eyewitness, God Himself. Thank you for using the video from Lutheran Satire. I love the way they think! Thanks so much for taking the time to read and comment on the article. I really enjoy Lutheran Satire, too! Regarding creation, I’d like to refer you to Hillary’s comment below clarifying the stance we have here at Mama Bear. Thanks! Pat, first off, I am so glad that you have such a comittment to Scripture! As to people losing their faith over the Genesis 1 issue, the ones that I have seen lose their faith after questioning the young earth interpretation usually come from communities where agreement with a strict young-earth perspective is taught as a litmus test of whether you really believe the Bible. While I value the committment to scripture, I don’t agree that the young-earth interpretation is the only interpretation. It is only a deal-breaker if you make it one. A guy named Benjamin Smith wrote a book called “Genesis, Science, and the Beginning” that does a good job of showing how an old earth interpretation can still be faithful to scripture without having to do hermeneutical gymnastics. We have Mama Bears who fall on both sides of the debate, because we want to emphasize that our unity in Christ surpasses a unity around a particular interpretation of Genesis 1. We all agree that God created! God’s special revelation in Scripture and His natural revelation through nature should always coincide because truth is truth. If there is an appearance of contradiction, we must work to solve it. We cannot do that by just ignoring the evidence of the other side. There is something we apparently don’t understand yet, and until we can make them coincide, it is a perfectly acceptable stance to speak softly about that issue, and seek further knowledge. If the skies proclaim the work of his hands, we cannot ignore what the skies are saying. My favorite verse that contains all three persons of the Trinity is Ephesians 2:8. We are saved (the blood of Christ) by grace (the grace of God) through faith (endowed by the Holy Spirit. I have had others understand the Trinity using the ocean analogy. The deep blue ocean is too big to understand and is the Father. The waves can be touched and felt like Jesus. The Holy Spirit is ever present like the salt air around every shore and ship.